1. Yet the purpose of relationship is not to have another who might complete you; but to have another with whom you might share your completeness. 2. Your first relationship, therefore, must be with your Self. You must first learn to honor and cherish and love your Self. 3. The Highest Thought is always that thought which contains joy. The Clearest Words are those words which contain truth. The Grandest Feeling is that feeling which you call love. 4. None of us is perfect, but we can all be perfect friends and perfect partners by allowing those that we love to be imperfect. 5. Where there is hatred, sow love; where there is despair, hope; where there is darkness, light. 6. The fastest way to get to a place of love and concern for all humankind is to see all humankind as your family. 7. Nothing about love is meaningless. Love is the meaning of life itself. Life is love, expressed. 8. You are a human being, making mistakes, trying to find your way back home. Love each other, and love yourself. Excerpt from nealedonaldwalsch.com: Neale Donald Walsch is a modern day spiritual messenger whose words continue to touch the world in profound ways. With an early interest in religion and a deeply felt connection to spirituality, Neale spent the majority of his life thriving professionally, yet searching for spiritual meaning before beginning his now famous Conversations with God: An Uncommon Dialogue. His With God series of books has been translated into 37 languages, touching millions of lives and inspiring important changes in their day-to-day lives. 1. You’re not going to avoid change. Change is the process of life itself. In fact, everything is changing every single minute of our lives. 2. Bring peace to the Earth by bringing peace to all those whose lives you touch. Be peace. 3. Every decision you make – every decision – is not a decision about what to do. It’s a decision about Who You Are. When you see this, when you understand it, everything changes. You begin to see life a new way. All events, occurrences, and situations turn into opportunities to do what you came here to do. 4. The gift of pure love allows you to bless others and accept them without condition, granting them freedom to make their own choices. 5. Always remember: Life begins at the end of your Comfort Zone. 6. Life is not a process of discovery, but a process of creation. You are not discovering yourself, but creating yourself anew. 7. Nothing exists in the world which did not first exist as pure thought. 8. There is no truth except the truth that exists within you. Everything else is what someone is telling you. 9. Drop the thought that you cannot affect the future. Tell yourself the future is not coming to you, it is coming through you. 16. Trust means not having to have a particular result, but rather, knowing that whatever results is for our highest good. 17. Teach your children that it is in sharing the most, not gathering the most, that the most is received. 18. There is a light which cannot ever be extinguished. It is inside of you. It is you. 19. What you have carried in your mind about the world is what you will see around the world. 20. Change the self and your inner world changes. And when your inner world changes, the outer world that you touch changes, little by little. 21. …if you wish to live in peace and harmony, you must change your world at the level of belief. One person at a time. Starting with you. 22. I’ve lived long enough to know that most of the things I worried about never happened. 23. It is much easier to change what you are doing than to change what another is doing. 24. Be the source. Whatever you want to experience in yourself, be the source of it in the lives of others. 25. Happiness is a decision. You can decide to be happy without what you thought you needed in order to be happy, and you will be. 26. You are goodness, mercy, compassion and understanding. You are peace, joy, and light. Choose to know yourself as these things always. 27. Change is inevitable. The trick in life is not to try to avoid change, but to create the change. Then it’s the change you choose. 28. Seek not to be the recipient of anything but to be the source. That which you wish to have, cause another to have. 29. If we want to truly change the world, we cannot do it from the outside. Change must come from within. 30. Try to not be disappointed in anything. Know that life is showing up perfectly in every moment. 31. Happiness is a decision, not an experience. You can decide to be happy, and you will be. 32. Move forward with no second-guessing, no guilt trips, no hesitation. Your purpose is to recreate yourself anew in each moment. 33. It is you who are choosing, in any moment, to be happy. Or choosing to be sad, or angry, or forgiving, or whatever. You are choosing. You. 34. Be a bringer of the light. For your light can do more than illuminate your own path. Your light can be the light which truly lights the world. 35. A smile actually changes the vibe of your body. It alters, physiologically, the chemistry of your being. 36. You are without needs. There is nothing that you need in order to be perfectly happy. You only think that there is. 37. There is only one reason to do anything: to announce and declare, express and fulfill, become and experience Who You Really Are. Do what you do, therefore, for the sheer joy of it, for sheer joy is who you are. Do what you choose, not what someone else chooses for you. 38. Your deepest, most perfect happiness will be found within, and once you find it, nothing exterior to your Self can destroy it. 39. Remember, life is an ongoing process of creation. You are creating your reality every moment. 40. You, and you alone, decide what anything means to you. Your feelings are what you want them to be. 41. Everything starts with you. You are the first domino. All the rest of the dominos fall when you do. 42. Allow yourself to call forth all the joy and wonder that life can bring you, in whatever form you happily choose. 43. Let’s be clear: all of life is deciding. You are deciding. Every act is an act of self-definition. 44. Even our most difficult moments bring us gifts. The trick, of course, is gratitude. Therein will you find both your peace and your joy. 45. Life begins now – not tomorrow or the next day or the next. It means you can have a new beginning whenever you want. 46. The moment we cease holding onto our “story”…our struggles disappear. 47. Do not try to push the river. The cycles of life present themselves, play themselves out, and make smooth every passage and terrain. 48. Celebrate the shifting sands as they form the new mountains. These mountains are monuments to change, not to permanence. 49. Seeking and finding peace within, were it undertaken by everyone, could end all wars, eliminate conflict and bring everlasting peace. 50. The world’s people yearn for peace, yet they do not experience it. That is because they do not understand that they are peace. 51. Happiness is allowing yourself to be okay with what is, rather than wishing for, and bemoaning, what is not. 52. Only when you require no approval from outside yourself can you own yourself. 53. Rest easy and be at peace. Life is working its magic even as you take your very next breath. 54. Dream away, and dream often, and dream big. And never let anyone talk you out of your dreams. 55. Everybody is a minister, everybody is a doctor, and everybody in the world is a healer. All we’re doing on the planet is helping each other. 56. You will not change the world by trying first to change the world. You will change the world by first changing yourself. 57. It is not necessary to move mountains to move mountains. It is necessary only to move pebbles. 58. Nothing is permanent. When you understand this, you can do anything you wish because you’re not trying to hold onto anything anymore. 59. Life is a decision conveyor. It conveys to the world the decisions that you’ve made about yourself. 60. People spend lifetimes seeking that which they already have. All you have to do to have love is be love. 61. Everything you think, say, and do is a message. Your whole life is your teaching. 62. Every human being is as special as every other human being who has ever lived, lives now, or ever will live. You are all messengers. Every one of you. You are carrying a message to life about life every day. Every hour. Every moment. 63. You can create who you are, rather than re-enact who you once were. Life is a process of creation. 64. Awareness is not just noticing what’s going on around you, but what’s going on within you as well. 65. You alone, get to choose what matters. The meaning of everything is the meaning you give it. 66. You live in a world of magnificent abundance. It is in sharing the most, not in gathering the most, that the most is received. 67. We are All One. Everything We are doing, We are doing in concert with each other. Our reality is a co-created reality. 68. The greatest help you can give a person is to wake them up, remind them of who they really are. 69. Your life is always a result of your thoughts about it. Your life proceeds out of your intentions for it. 1. There are those who say that seeing is believing. I am telling you that believing is seeing. 2. Teach others if they ask, but teach them not that you have their answers, but that they have their own. 3. The best things in life are free. It is important never to lose sight of that. So look around you. Wherever you see friendship, loyalty, laughter and love … there is your treasure. 4. A life lived of choice is a life of conscious action. A life lived of chance is a life of unconscious creation. 5. FEAR is an acronym in the English language for “False Evidence Appearing Real. 6. Glorify who you are today, do not condemn who you were yesterday, and dream of who you can be tomorrow. 7. If you want the best the world has to offer, offer the world your best. 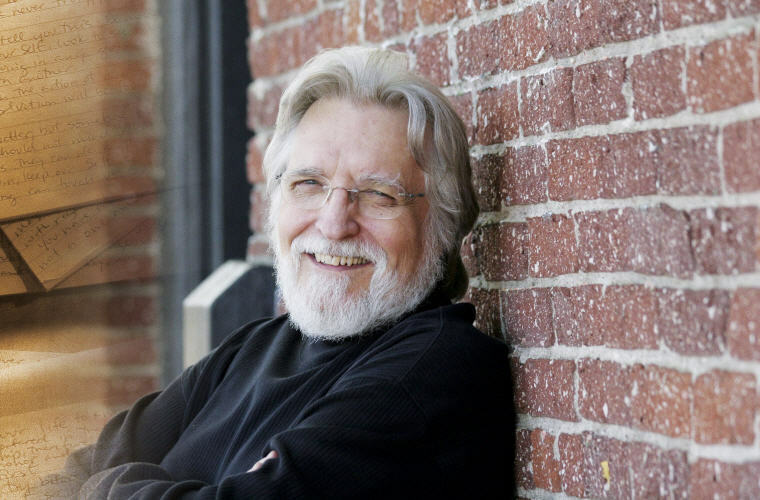 Connect with Neale Donald Walsch in Facebook.